As a cardiothoracic surgeon at the Royal Brompton Hospital in London, Richard Trimlett knows a few things about the heart. He and his colleagues in the UK perform 35,000 heart surgeries every year on average. Trimlett was looking for a new way of doing this when he ran into Alex Berry, the CEO of Sutrue, a design development center that specializes in developing medical instruments used in cardiology. “I asked Alex if he could make something that comes apart in pieces and passes through a very small incision that we could use to hold the heart stable,” Trimlett says. Ideally, he wanted a tool that was customizable by shape and size and also disposable. This article originally appeared on Autodesk’s Redshift, a site dedicated to inspiring designers, engineers, builders, and makers. Continue reading the article: https://www.autodesk.com/redshift/3d-printing-heart-device/. 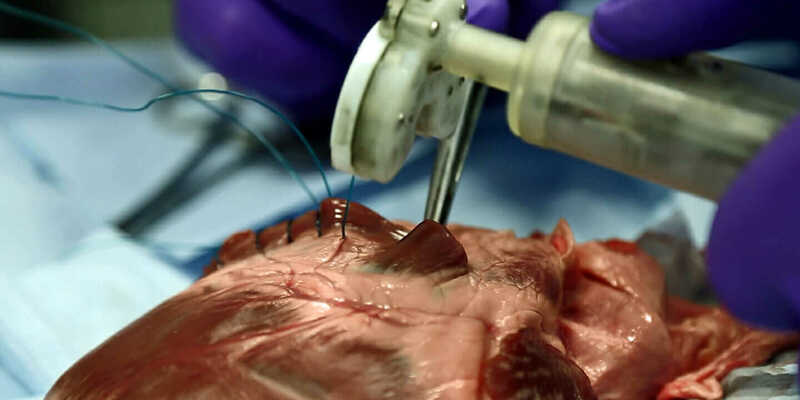 Photo Credit: A 3D-printed device makes the minimally invasive yet delicate keyhole heart surgery process easier for surgeons.